The Iowa Academy of Science is a 501(c)3 non-profit organization. The mission of the Academy is to further scientific research, science education, public understanding of science and to recognize excellence in these endeavors. The Academy accomplishes its mission through many programs and activities. General session at the IAS Annual Meeting. IAS members contribute by serving on the Board of Directors, on committees, in section leadership, and by volunteering time and expertise. The membership includes science researchers, faculty, educators, graduate and undergraduate students, academic institutions, organizations and corporations. Members represent many scientific disciplines in 12 sections. The Iowa Science Teaching Section (ISTS) is the equivalent of a state science teaching association in other states. Members come from all academic levels and include secondary education students to college and university faculty. A variety of membership options are available for anyone interested joining the Academe. Anthropology and Archeology presentations at the IAS Annual Meeting. The Academy brings together members of Iowa's science community and other science related disciplines. Our Annual Meeting is held in April. It attracts several hundred attendees for two days of science presentations by national, regional, and Iowa speakers. 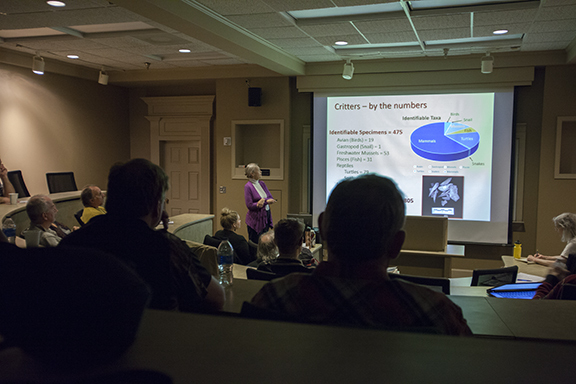 It hosts over 100 Iowa-based oral and poster research presentations. Graduate and undergraduate research presentation at the IAS Annual Meeting. The Academy provides opportunities for graduate and undergraduate students to present their research in a collegial atmosphere close to home. 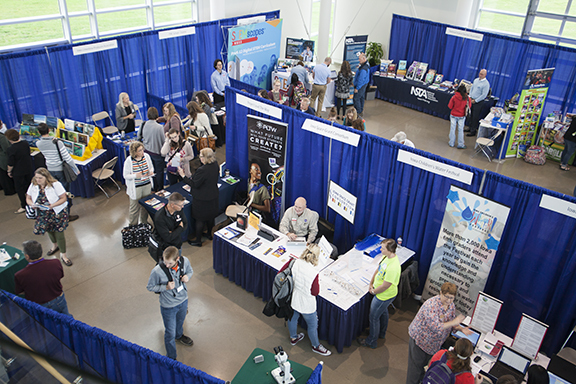 The event is affordable while offering a professional experience for students with opportunities to meet scientists and science educators from across Iowa. The Academy Annual Meeting is hosted by the public and private colleges and universities that are Institutional Members of the Academy. During the fall the Iowa Science Teaching Section (ISTS) of the Academy hosts the ISTS Fall Conference . 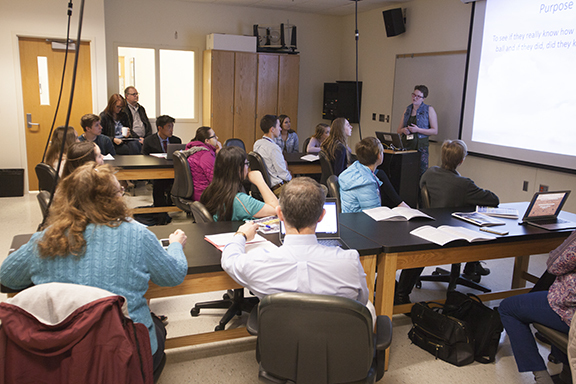 The conference attracts science teachers and science students from across Iowa for professional development, networking, and learning about new teaching methods. It is the goal of ISTS to advocate for excellence in science education by promoting professionalism, influencing policy, and enhancing learning. Part of the Exhibit floor at the ISTS Fall Conference. The Academy has sponsored the Iowa Junior Academy of Science since 1932. The Junior Academy fosters participation in science research by middle and high school students. Check out the IJAS webpage for more information. Junior Academy students present their research, attend the IJAS Awards Luncheon, and are able to participate in the entire meeting meeting scientists and hearing presentations by national, regional, and Iowa experts. Browse this website to learn more about the Iowa Academy of Science and its programs. Better yet, if you are not a member consider joining the Academy to support and become part of Iowa's only general science organization. The academy promotes communication and cooperation across science and science-related disciplines by promoting science research, science education, the public understanding of science, and recognizing excellence in these endeavors. Iowa Junior Academy of Science research presentation. IAS Speaker Series at Saylorville Lake Visitor Center.